From now till 31st October, purchase S$350 nett of NAN H.A. 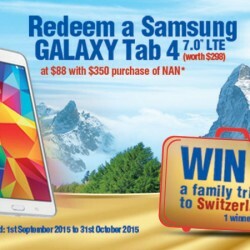 2 800gm, NAN H.A.3 800gm, NAN PRO 2 800gm, NAN GRO 3 800gm and/or NAN KID 4 900gm, you get to redeem a Samsung GALAXY Tab 4 7.0” LTE (worth S$298) with topup of $88! Plus, every qualified redemption gives you a chance to win a family trip to Switzerland+, total of 2 winners! Nescafe offers an extraordinary gift this Christmas. 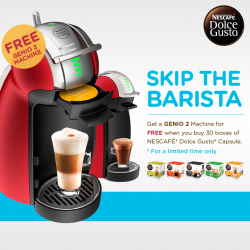 Skip the Barista, beat the crowds and get a FREE Genio 2 machine worth $259 plus FREE delivery when you purchase 30 boxes of capsules today. 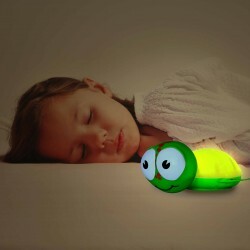 Enjoy a free BABYZOO Turtle Night Light when you spend a min. of $70.00 on Wyeth S-26 PE GOLD from Nestle!